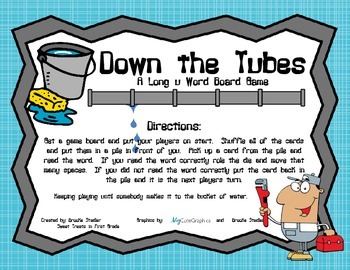 Don’t let your students get sucked down the tubes with this fun and engaging work station game! 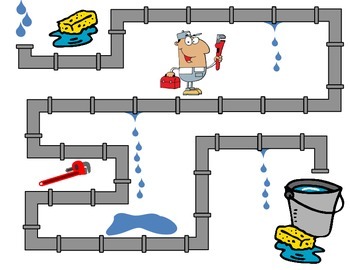 In this activity students will be working with the u_e spelling pattern by reading words and moving along the game board toward the bucket of water. 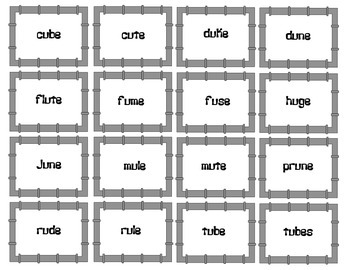 With a total of 29 word cards your students will be able to have multiple times to practice each word throughout the game. This is a wonderful work station task but can also we used for a small group focus lesson as well! 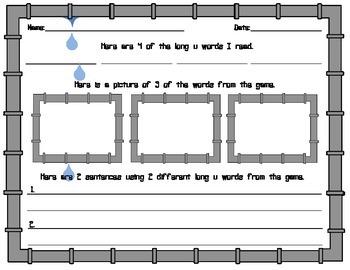 Don't forget to check out the other long u games as well to round out your work station tasks for all of the learners in your room!